A stunning and simple diamond engagement ring set, made to order to your size with one of the raw diamonds in the 2nd picture. 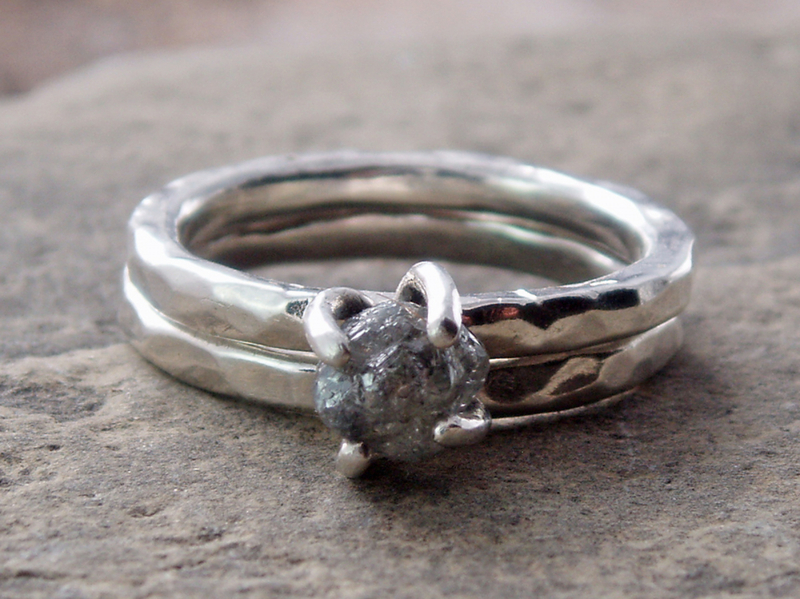 This listing is for 2 sterling silver rustic and artisan hammered bands - one set with a beautiful raw and rough silver color diamond in a prong setting as seen in the first picture. 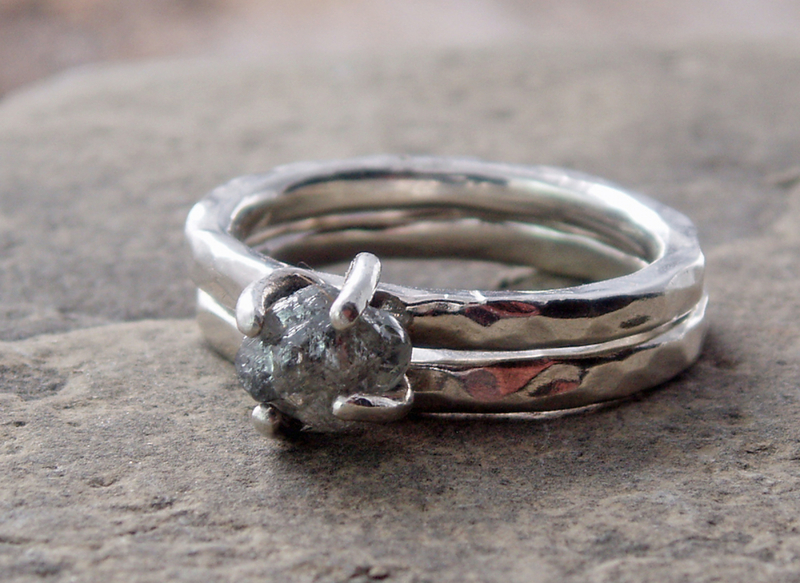 The diamond is a stone shape silver diamond that's approximately 1 carat (4.5x.4.5x5mm) and the bands are 2mm diameter hammered sterling silver. Please ask for a quote if you'd like this made for you in 14k yellow, rose or white gold. These beautiful diamonds have been purchased from legitimate sources not involved in funding conflict and in compliance with United Nations resolutions. 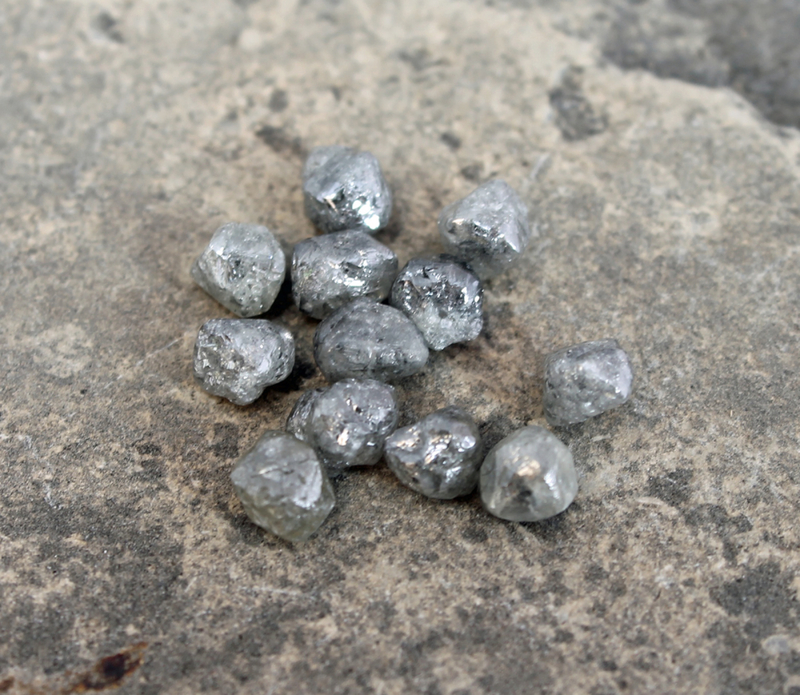 My supplier guarantees that these diamonds are conflict free, based on personal knowledge and written guarantees provided. My supplier even sends me a Kimberly Process certificate with the diamonds. Let me know if you'd like to see a copy of the certificate. Let’s make sure I create the right size ring for you. 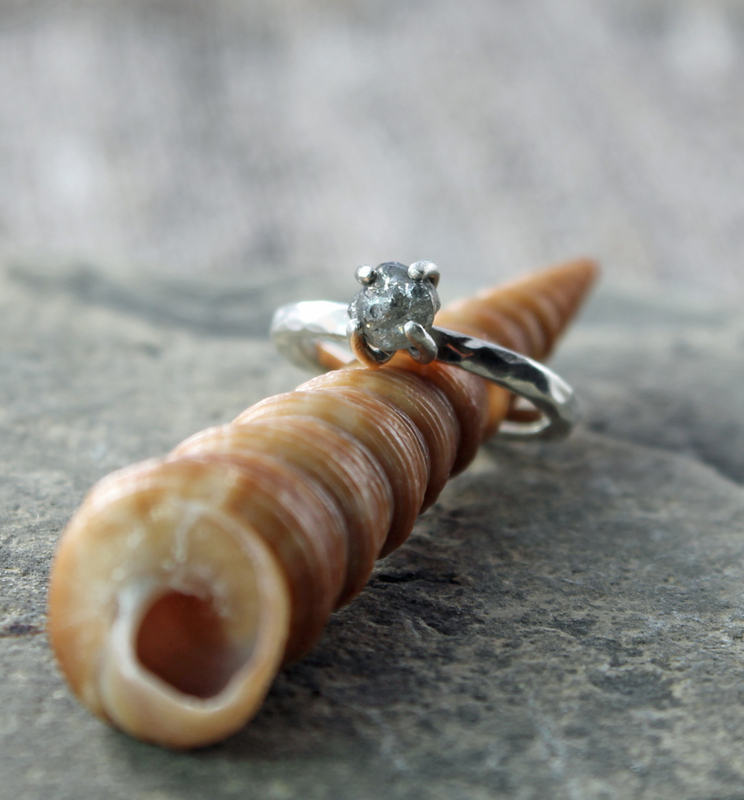 I work with US ring sizes and I am very careful to size your custom rings to the size you order. Please double check the size you need before placing your order. You can do this by measuring the inside diameter (from one side to the other) of another ring you like the fit of. Please make sure the measurement is precise down to fractions of millimetres. Please send me this ID measurement along with the ring size you desire upon checkout. Alternatively ask me for the ring sizing tool. Unfortunately not all ring sizers measure to the same size & jewelry store measurements are not always reliable, so I do need the inside diameter measurement to fit your custom ring. 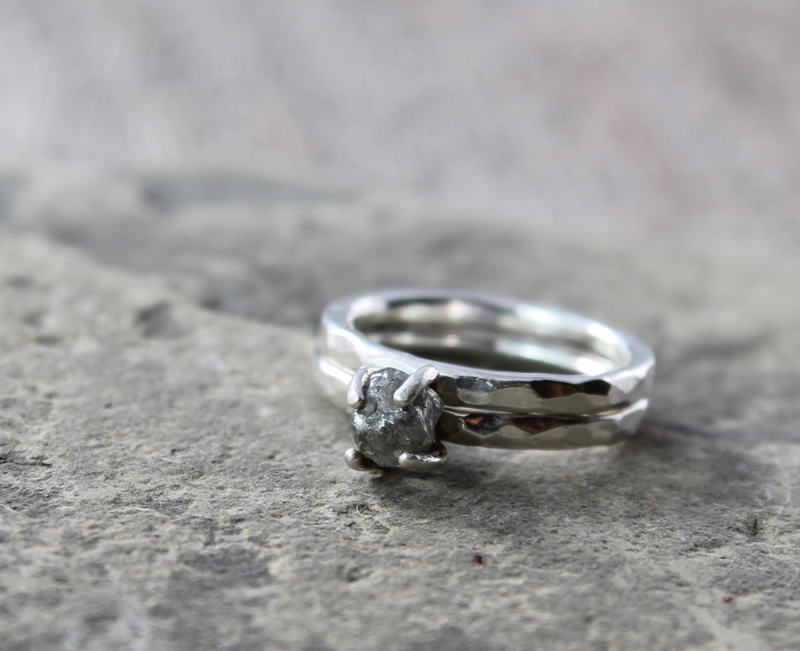 Resizing can be as much work as creating a new ring, therefore resizing fees start at $25 for bands and $80 for rings with stones, plus return shipping.